One might wonder what made such a renowned British celebrity say so about the famous Indian city of Mumbai. But I can bet my life that those who do, have never been in their lives to Mumbai. People who have lived in the city of dreams can never bear to live in any other city. People who go there for a tour never wish to go back to the comforts of the home. Such is the charm, attraction, appeal and charisma of the city that whoever goes there, simply fell in love with what they saw. India’s fastest developing metropolitan city and rightly proclaimed as the fashion capital of India, Mumbai is a city with extremes. If there is lavish Bollywood, then there is local dabbhawalas; if there is dry season in summers, then there is unstoppable rainfall in the monsoon season; if there is street food, then there is restaurant quality Bheja Fry; if there are dhobi Ghats, then there are numerous top-ranking 5-star hotels. In other words, in Mumbai, everything is possible. Hence, Mumbai, where there are exotic locations, heritage buildings and traditional beaches and where Vada pav and local trains are as famous as Mr. Amitabh Bachchan and Shah Rukh Khan, is a city where dreams turn to reality and the reality appears like a dream! Given below is all the information about Mumbai city so that one can make the best out of his/her Mumbai tour. Where exactly in India, does Mumbai lie? The Indian State, Maharashtra, is in the Deccan region of India. Mumbai acts as the capital city of the state. The city of Mumbai is well-connected through railway, airlines and even by roads. So reaching the city of Mumbai is not a very tedious task through any part of the world. The inhabitants of Mumbai converse in which language? The official language of Mumbai is Marathi. People in Mumbai also converse in English, Hindi, Konkani and Gujarati. Some population is also well verse with South Indian languages like Kannada, Telugu and Varhadii. 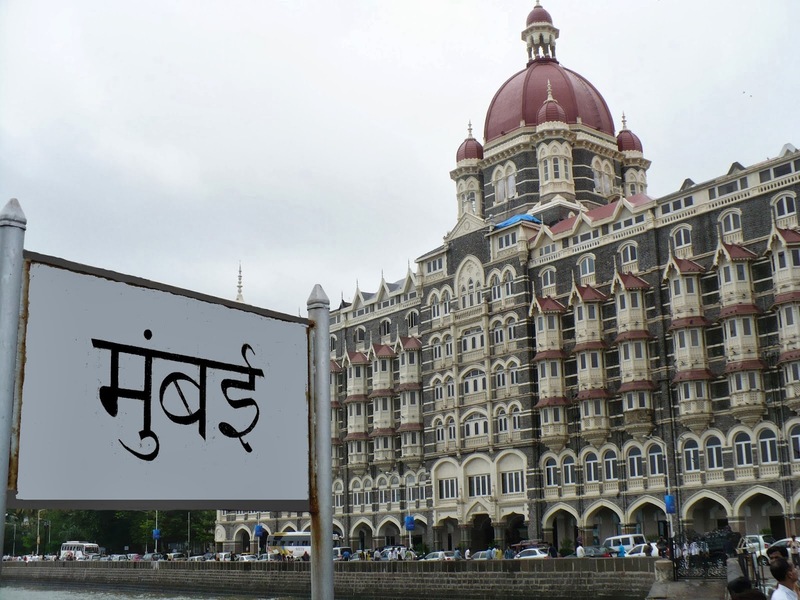 Mumbaikars also have their own unique way of speaking Hindi which is locally referred as Mumbaiya Hindi. What is the history of this magnificent city? In historic times, Mumbai existed as an archipelago of seven disjointed set of islands nearby the magnificent Arabian Sea. It is so far unclear who were the first inhabitants of the city, but the fishing community of Koli is the first in records. Earlier, Mumbai existed as disjointed set of islands around Arabian Sea. The fishing community, Koli, is recorded to be Mumbai’s first inhabitant. Numerous dynasties were lured by the charming set of islands and Mughal was ruled in turn by Mauryas, Satvahanas, Vakatas, Chalukyas, Rashtrakutas, Mughals, Portuguese, British and Marathas. Each of these communities has shaped up the current culture of Mumbai, every community played her part to give uniqueness to the city and make it a city like no other. The British community, which ruled over India for over 200 years, and joined the seven disjointed islands into one single entity, and named it as Bombay. were taken in the city. Indian National Congress held its first session in Mumbai. Mumbai has over the years seen battles, struggles and wars between various dynasties and empires. But, today the city takes pride for being the biggest commercial port of the country. Whatever time has thrown at Mumbai, the city has overthrown it with full vigor and strong will. What is the ideal time to plan a Mumbai Tour and visit the city? The city of Mumbai bears a tropical climate. The weather during summers is unbearably hot and humid. The rainfall during the monsoon season in Mumbai is plenty and almost brings the city to a standstill. The comparatively cooler months between November and February are ideal for visiting Mumbai to not waste away the Mumbai tour while stuck in traffic and also to avoid the wrath of the sun during summers. So currently, it is the ideal time to book online your Mumbai Tour from indianholiday.com. Why is Mumbai called as the paradise for foodies? Mumbai has so many culinary options that one can truly enjoy the flavors, the colors and the cultures of Mumbai simply by savoring the delicious food options. Non-vegetarian food is preferred the most by Mumbaikars. The widely preferred main course delicacies that Mumbai is famous for include Kheema Pav, Vegetable Pulao, Dalimbya, Masala Bhaat, Palkachi Takatli Bhaji, Amti, Kanda Batata Poha, Batatyache Kaap, Vangyache Kaap, Bombil Batata Bhaji, Kamag Kakri, Mumbai Tawa Pulao, Dry Bombay Duck Curry, Kebabs, Moong Dal Kichdi, Bheja Fry Butter Chicken, Chicken Tikka, and Anda Bhurji. Since Mumbai is located close to coastline, it is eminent that Mumbaikars prefer Seafood dishes. Some of the very-loved seafood delicacies include Prawn Tikki, Tisriya Masala, Bangda Tikhale, Fish Thali, Surmai Fish Curry, Chanak Fish Fry, Fish Koliwada and Bombil Fish Fry. If you come to Mumbai and you did not try the street food that Mumbai is most famous for, you completely wasted all your efforts. Some of the most loved Chaat Dishes include Bhel Puri, Ragada Pattice, Dabeli, Pav Bhaji, Aloo Chaat, Dahi Vada, Pani Puri. Everyone who likes sweet dishes and desserts will love Mumbai because the culinary specialties of Mumbai include where various sweet dishes like Chirota, Puran Poli, Modak, Gulab Jamuns, Sheera, Aamras, Dry Fruit Kulfi, Shrikhand and Laddoo. Mumbai is also known for fine growth of Alfonso mangoes. So, one should definitely try the delicious and juicy Alfonso mangoes, if he/she visits Mumbai in summers. Culinary Tip: Do NOT try Vada Pavs from some quality restaurants and eat it from the street side shops for the authentic taste of Mumbai’s favorite on-the-go snack. From the perspective of the tourists, what are the major attractions in the city of Mumbai? Marine Drive: The night view of this famous Mumbai Beach is simply exhilarating with stunning sceneries, magnificent walkways and swaying palm trees. No wonder it is called as the “Queen's necklace”. Chowpatty Beach: Whenever one hears the name of the beach, he/she is reminded by the famous song line, “Chowpatty Jaayenge, Bhelpuri Khaayenge” (We will go to Chowpatty and eat Bhelpuri). This popular beach is ideal for tasting some of the best Mumbai culinary delights. Juhu Beach: When it comes to portray sophistication on beaches, this is the beach that nails it. This is one of the widely known and most populated Mumbai Beaches which is famous for visits by Who’s Who of Bollywood Industry. Madh Island Beach: This beach is known to be the cleanest and most-well maintained beach in the city. The silent, peaceful and soothing beach is ideal for spending some quality family time and for holding lavish private parties. Versova Beach: This is the beach which is now widely popularized by Bollywood Munnabhai Films. The sight of Sunjay Dutt sitting atop huge boulders, overlooking the vast expanse of Arabian Sea, lost deep in his dilemmas, has become the defining picture of this historically significant Mumbai Beach. This beach is ideal for some introspection. Sanjay Gandhi National Park: Popularly called as Borivali National Park, the national park is home to numerous endangered wildlife species including 150 species of butterflies. The National park is an ideal retreat for Wildlife enthusiasts and nature lovers. Jehangir Art Gallery: The museum houses some of the most significant antique paintings, sculptures, statues and art works. Also houses a coffee shop and an antique shop. Chhatrapati Shivaji Maharaj Vastu Sangrahalaya: Popularly called as Prince of Wales Museum, there are over 60,000 historical artifacts, comprising of objects that go back till as early as Indus Valley Civilization. National Gallery of Modern Art: This Gallery is well known among audiences for housing Egyptian artworks, statues, and even mummies along with original paintings by Pablo Picasso. Chhatrapati Shivaji Terminus: This magnificent Mumbai Railway station is widely popular among tourists from all around the world. The railway station has been constructed by the British using the High Victorian Gothic architecture skills and style during Victorian era. A soon as one enters the station, he/she starts to marvel at the sight of the station. This beautiful railway station is included in UNESCO World Heritage Sites. But this is not the only accolade received by the railway station. Chhatrapati Shivaji terminus is rated as the 7th most beautiful railway station in the world by cntraveler.com and the 10th most beautiful railway station in the world by travelandleisure.com. 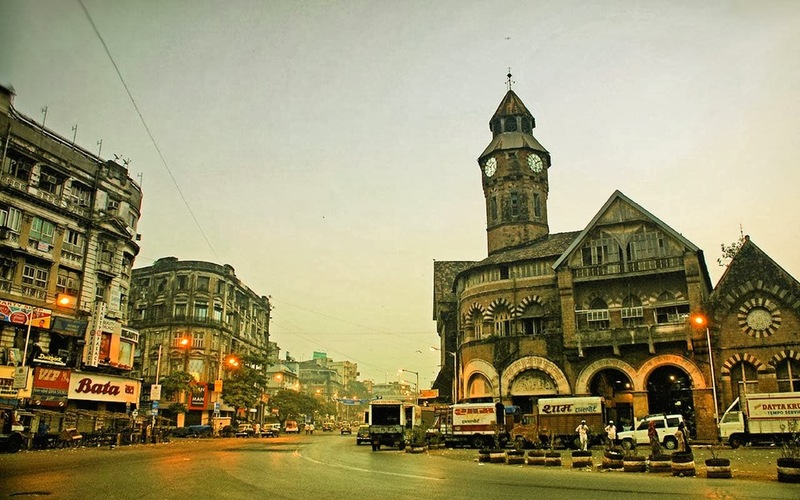 There is no reason why one must miss out on this heritage site during a Mumbai Tour. Elephanta Caves: Elephanta Caves can be described in just one word: WOW! Located across the sea, at a distance of 9 nautical miles from Gateway of India, Elephanta Caves is a must visit destination on a Mumbai Tour. Locally, this destination is referred as ‘Gharapuri’. This 7th Century construction is an architectural spectacle like no other. Lord Shiva is the reigning deity of this stunning hewn rock-cut cave temple and people come from miles around to worship him over here. One of the key luring features in the temple is Maheshamurti panel that showcases Lord Shiva as a creator, protector and destroyer. Gateway of India: The historical monument Gateway of India acts literally as the gateway of the city through which one enters the city. During the earlier times, when the city of Mumbai was used as a sea port, the trade activities from the city pass through this monument which led to its popularity all across the world. One of the best sights of this monument is during the monsoon season under the rainfalls. The tourists pack their lunch and enjoy a happy family time over here, feasting on the natural beauty of the place. It is one of the primary monuments in India. Haji Ali Tomb and Mosque: For the Muslim population, Haji Ali Dargah is one of the highly sacred religious destinations. The unique architecture and the structure of the religious destination set the tone right in every aspect for a pleasant visit. The heritage is prime example of the magnificent Indo-Islamic architectural style. Among the Muslims, it is belived that one must visit the tomb of Sayyed Peer Haji Ali Shah Bukhari, during monsoon for getting blessed during the rainy season. Tourists also enjoy the religious qawali processions in the Durgah which is a spectacle in itself. Siddhivinayak Temple: This temple is one of the most famous religious sites in the country. Situated in Prabhadevi district of Mumbai the Hindu temple is a worshipping site to Lord Ganesh. It is currently among the top 5 richest temple of India. What are the best places for accommodation in Mumbai? Lately, Mumbai has become a hub for tourists from all around the world. Tourists come here for all kinds of purpose: vacations, leisure, business, education, fashion, medicine etc. This trend has led to the construction of various accommodation facilities for the large numbers of esteemed visitors who come to the city. Hence, there are various kinds of hotels in Mumbai to provide all the tourists with whatever accommodation requirements they are seeking. For those business class and luxury tourists, who just want that little extra on their Mumbai Tour, and do not mind spending a little too much, the 5-star hotels in Mumbai and the 4-star hotels in Mumbai are simply ideal. When these luxury hotels in Mumbai were being constructed, immense attention was given to the location where these hotels must be constructed. Some of the most posh, lavish and sophisticated locations in Mumbai were chosen for the construction of these top quality hotels. All the luxurious amenities and facilities are provided to the esteemed guests in these hotels. Special feature about Mumbai’s 5-star hotels and Mumbai’s 4-star hotels is the fact that major celebrities from B-Town (Bollywood), stay in these hotels as well. Some of the best examples of 5-star hotels in Mumbai include Oberoi Hilton Towers Mumbai, Trident Nariman Point Mumbai, Hotel Sahara Star Mumbai, The Oberoi Mumbai, Taj President Mumbai and Taj Mahal Hotel Mumbai. Some of the best examples of 4-star hotel in Mumbai include Ritz Hotel Mumbai, The Shalimar Hotel Mumbai, Hotel Sands Mumbai and Kohinoor Continental Mumbai etc. Tourists who wish to make the best out of their Mumbai tours without spending half of their savings on it can chose to stay on the well-maintained 3-star hotels in Mumbai and budget hotels in Mumbai. All the modern amenities are provided to them in this hotel and they need not worry about making a compromise on their comfort level. Some of the best 3-star hotels in Mumbai include Hotel Sun-n-Sheel Mumbai, Royal Garden Mumbai, Hotel Rang Sharda Mumbai, Hotel Sahil Mumbai and The Residence Hotel & Convention Centre Mumbai. Some of the best budget hotels in Mumbai include Hotel Sadanand Mumbai, Hotel Regal Enclave Mumbai, Hotel Red Rose Mumbai, Hotel Rosewood Mumbai, Hotel Midland Mumbai and Royal Inn Mumbai. List some of the unique aspects of Mumbai that separate her from the rest of the world. Fairs and Festivals in Mumbai: Mumbai is very happening city when it comes to celebrate fairs and festivals. One of the most important festivals for Mumbaikars is Janmashtami in which a human pyramid is formed and the top-most person has to break the handi containing buttermilk. Most important festival for Mumbaikars is Ganesh Chaturthi in which the residents pray around a tall statue of Lord Ganesha for 10 days. Some important fairs and festivals in Mumbai also include Elephanta Festival, Kala Ghoda Arts Festival, Banganga Festival, Bandra Fair, etc. Nightlife in Mumbai: There are numerous pubs, clubs and bars in Mumbai which has made the vibrant and pulsating nightlife of Mumbai the best in the country. Dance, Music, Liquors, Parties, international Oomph, famous bands, DJs, celebrities, all this and much more happens in Mumbai at nights. Bollywood: The city of Mumbai is the home of Bollywood. And I am sure I don’t need to define what Bollywood is… Do I? Since, the largest film industry in the world is settled down in this city, at every nook and corner, one can see the ongoing shooting sets of upcoming films and even their favorite celebrities and film stars. Dabawallas: The Dabawallahs, is one of the oldest running business in Mumbai. It is the largest lunch-boxes delivery system in the world. The workers who wear white Nehru caps and pyjama trousers deliver home cooked lunch boxes to people working in offices all over the city. Harvard Business Review Magazine gave this business a whopping 6-sigma rating for maintaining “remarkable accuracy in services”. Dhobi Ghats: The biggest Laundromat in India, Mahalaxmi Dhobi Ghat, is where the city’s dirty laundry comes up and a network of over 200 washers or dhobis families work together in this area to wash clothes of people living in Mumbai’s hotels and in hospitals. The sight of rows and rows of clothes being relentless pounded upon, is an amazing spectacle in Mumbai.